Chris Green recently joined the Manchester team here at Howgate Sable and will join partners Neil Humphreys and Nick Irving in delivering a broad range of projects across our EMI and aviation practice groups. 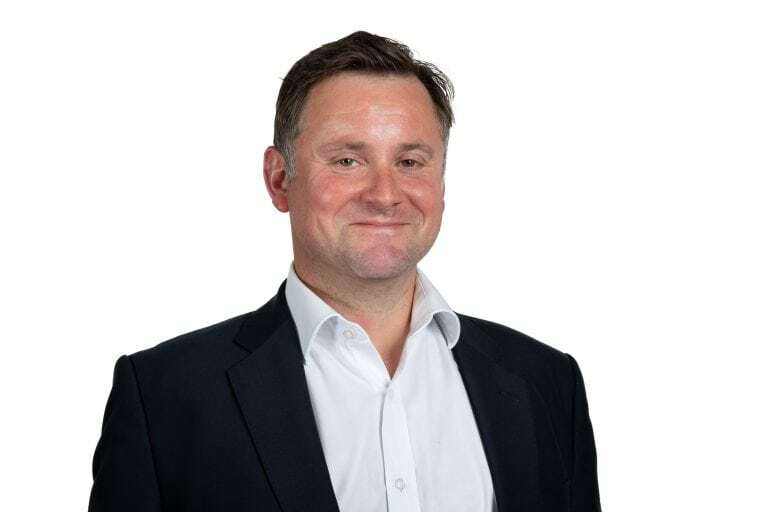 Bringing impressive experience sourcing high-level candidates within the manufacturing and infrastructure sectors, he’s placed top executives in major companies in the UK and across the globe. A career in headhunting certainly wasn’t what I planned! After graduating with a Masters in Modern History from the University of Oxford, I became a warfare officer in the Royal Navy and later spent six years as an officer in the Royal Naval Reserve. I decided to join the search profession in 2003, originally operating in the investment banking market. I then switched sectors in 2010 and my core focus became the industrial markets – mostly transport (road, rail and air), infrastructure (construction, built environment and capital projects) and manufacturing. This year, I was swayed by Howgate Sable’s outstanding track record and accrued domain expertise in my key sectors to join the team and I’ve been here about a month now – settling in nicely! 2. Why excites you about executive search? I simply get a kick from finding candidates who go on to make a positive, tangible difference to my clients. It’s always exciting when you find a candidate to take a role, but it’s even more rewarding when you see the difference they’ve made a year or two down the line. 3. Who would be your dream client? The Royal Navy. It’s a fantastic organisation with outstanding values and an unrivalled heritage. It also boasts an extraordinary pedigree of producing leaders who can fight and win. 4. How do you predict the search market will change over the next decade? It’s becoming increasingly important for search consultants to have genuine sector expertise and I expect this emphasis on knowledge will only grow as time goes on and the market becomes more competitive. 5. Your particular areas of expertise are EMI and aviation. How have these industries developed during the time you’ve worked in executive search and what are the key issues at the moment? In all the markets I work in, there are ongoing challenges surrounding diversity, productivity, Brexit, digitisation and smart supply chains – and I don’t see these subsiding any time soon. However, in terms of those that I feel are most pertinent right now, I’d have to point to two very much linked themes: leadership and safety. The role of the leader is more important than ever. Great leaders value the wellbeing of their employees and are able to recruit, build, retain and motivate exceptional teams. They instil and live the values by which an organisation becomes more than the sum of its parts. Leadership is the ability to motivate others to willingly follow and all great leaders lead by example. Without the power of example, leaders have no credibility. As for safety, of course the industries I serve are by nature safety-critical. Every employee has the right to go home safe at the end of the day and a well-run business will always have robust safety culture. Safety is about rigour, process, accountability and structure. It’s also about leadership – if the executive team doesn’t practise what it preaches in terms of safety, no one else will. As markets become more competitive and economic factors disrupt operations, it’s crucial for candidates in my sectors to embody these traits if they’re to succeed. 6. If you weren’t in executive search, what would you be doing? I would’ve quite liked to be an actor – not sure if it’s an overactive imagination or whether I just like the attention! 7. Which individual has inspired you most in your career and in what way? My mum. She taught that an individual’s worth is not to be measured by what they get from the world, but by what they put into it. 8. What’s your claim to fame? I’m a published historian and I once stood next to a serving prime minister in the gents’ toilets – name withheld to protect the innocent! 9. Which conversation do you wish you’d been a fly on the wall for? The Cabinet meeting in May 1940 when Churchill convinced the Cabinet to fight on against Hitler after Dunkirk. 10. Finally, what’s your elevator pitch? I think I’d only need to go up one floor… I find and place candidates who add enduring value post-appointment – it’s as simple as that. If you want to know more about our other consultants within EMI and aviation, read our Q&As with Neil Humphreys and Nick Irving.